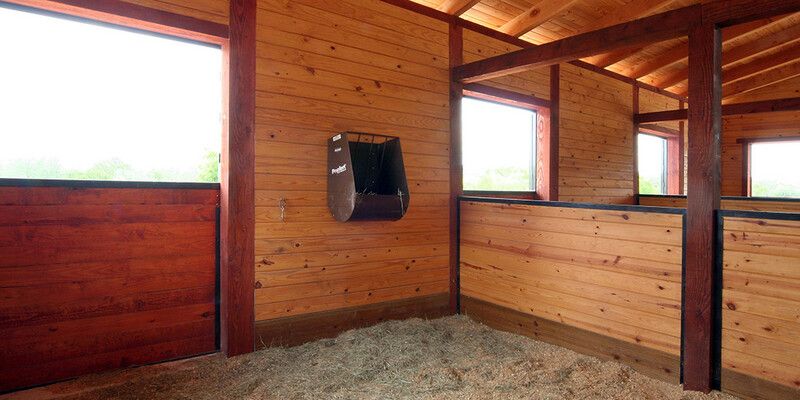 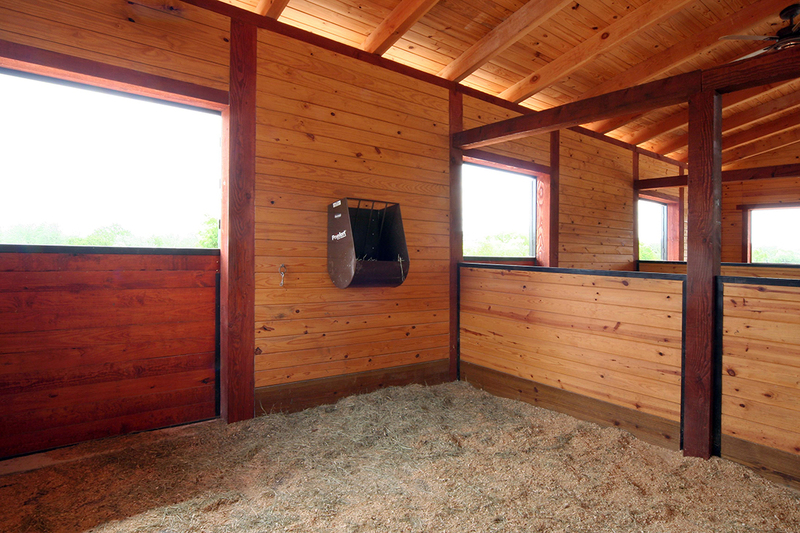 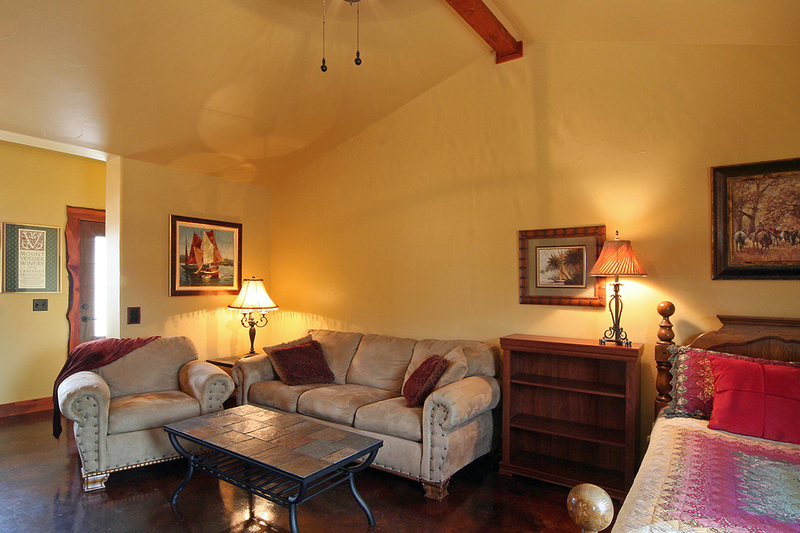 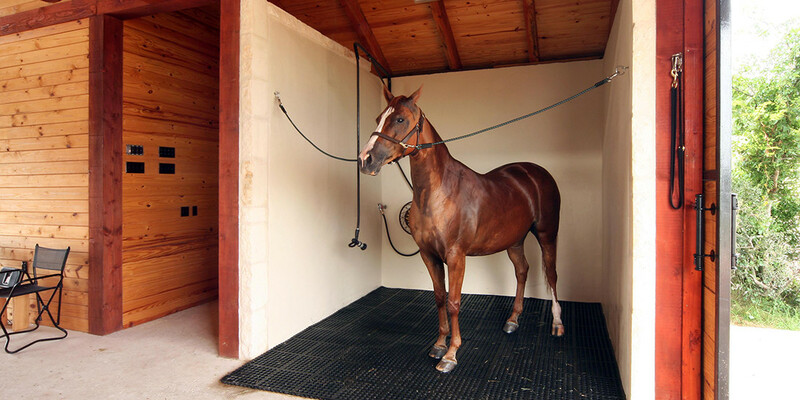 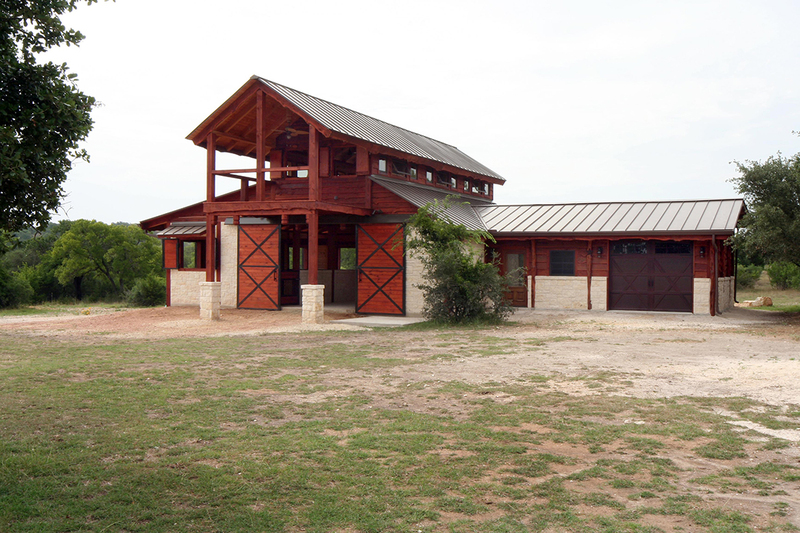 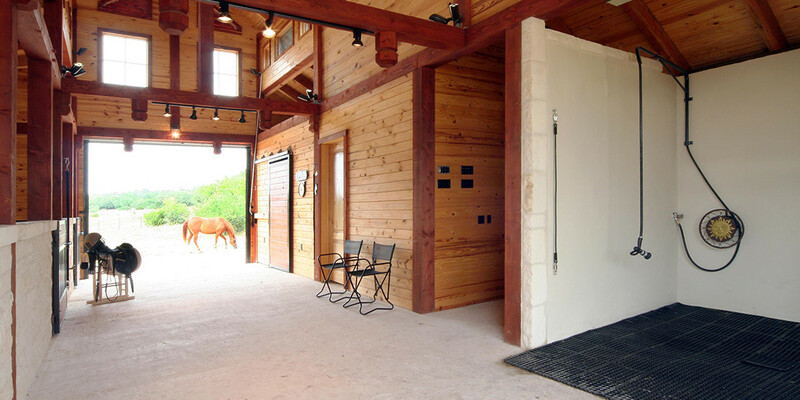 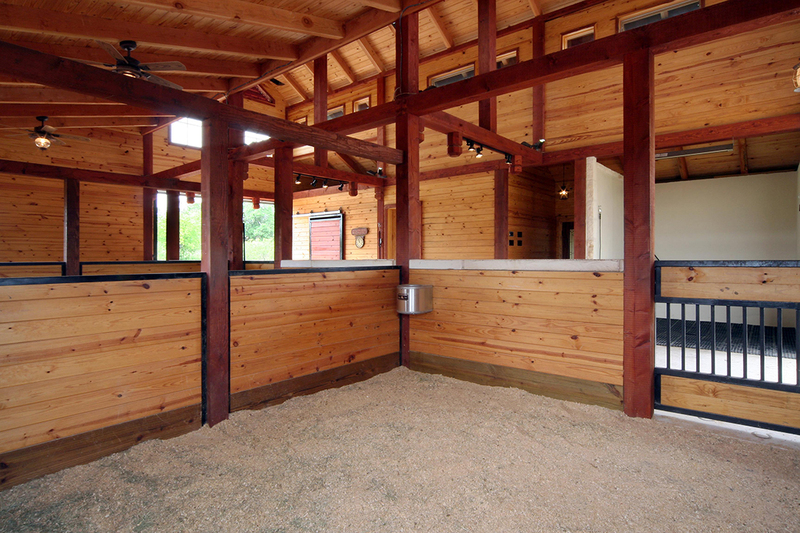 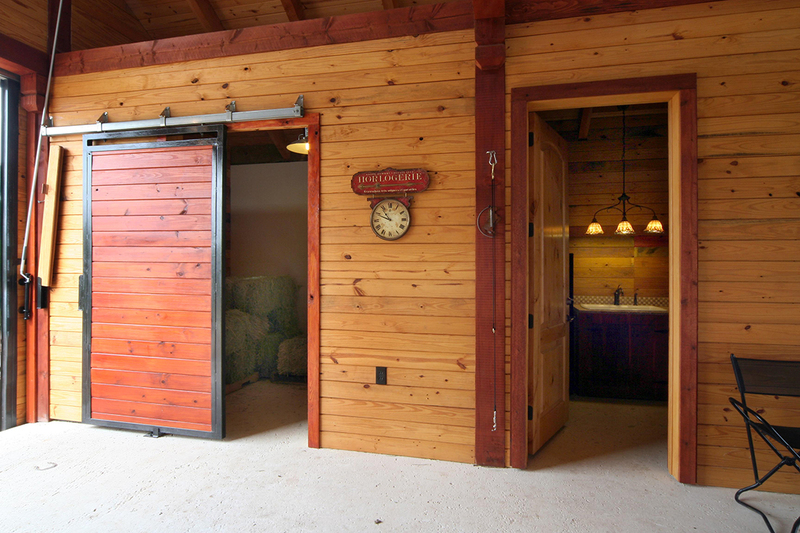 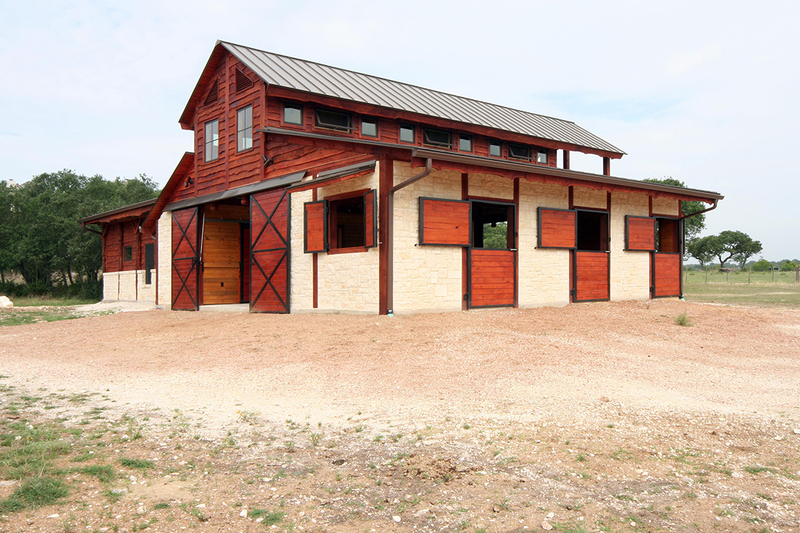 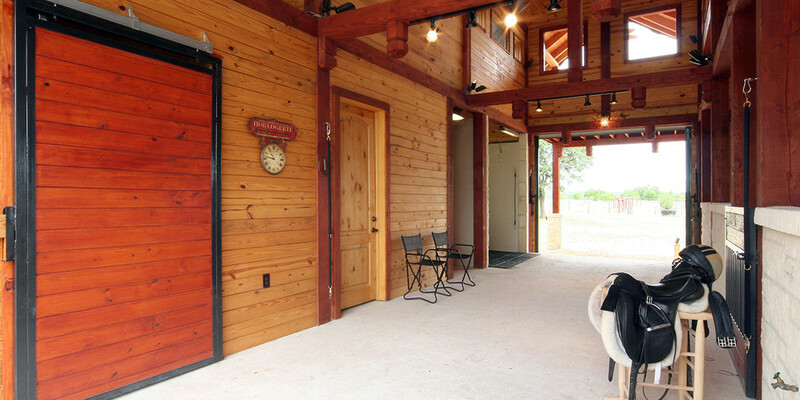 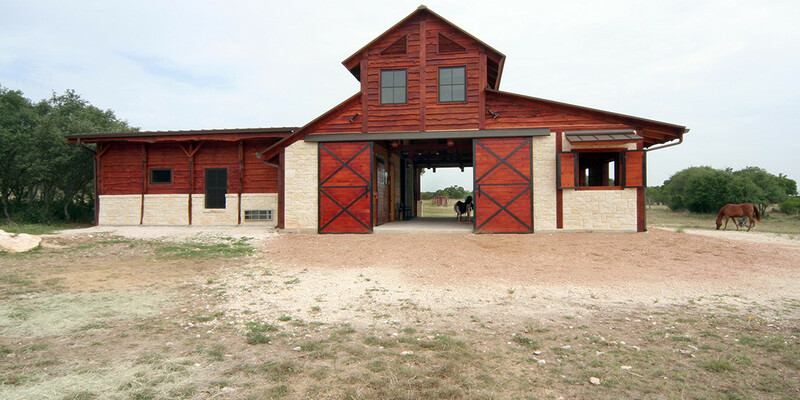 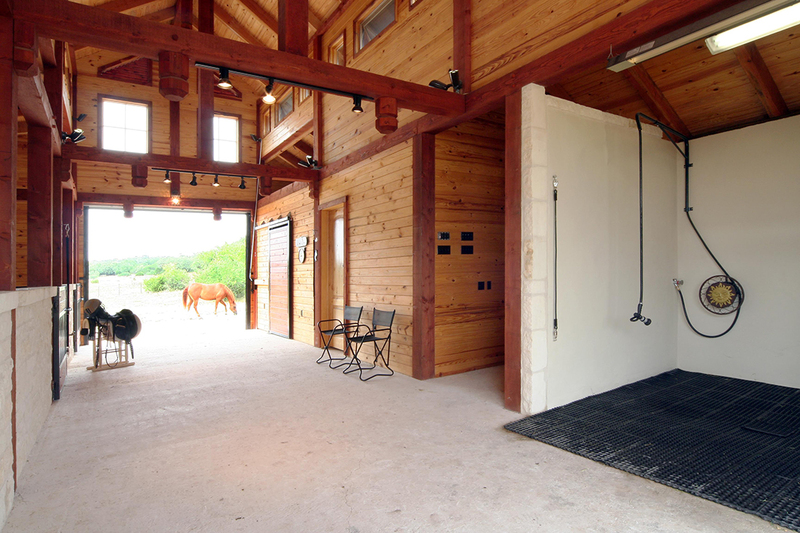 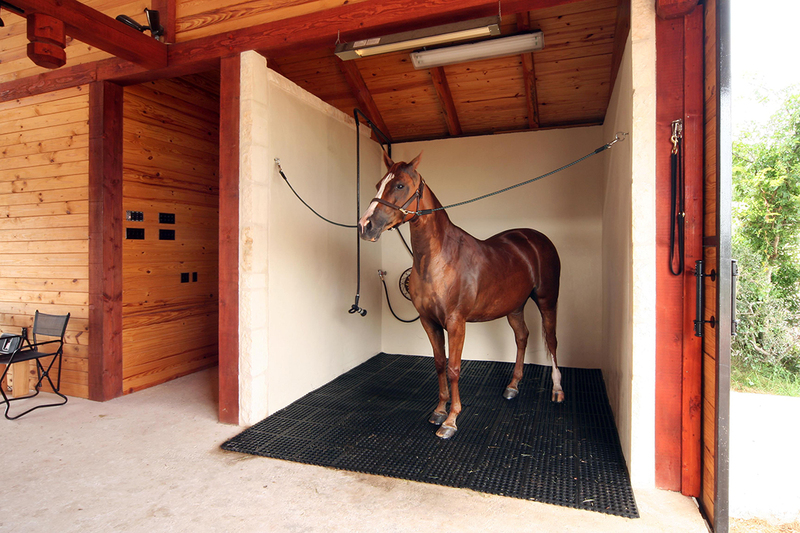 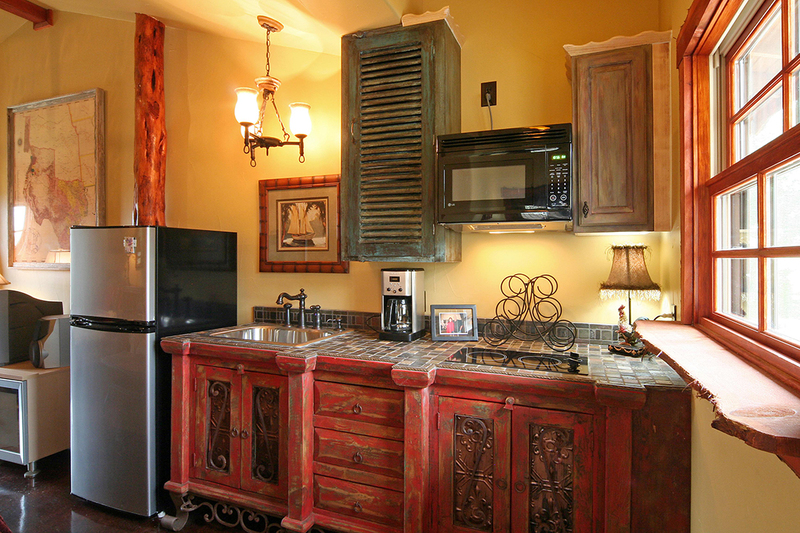 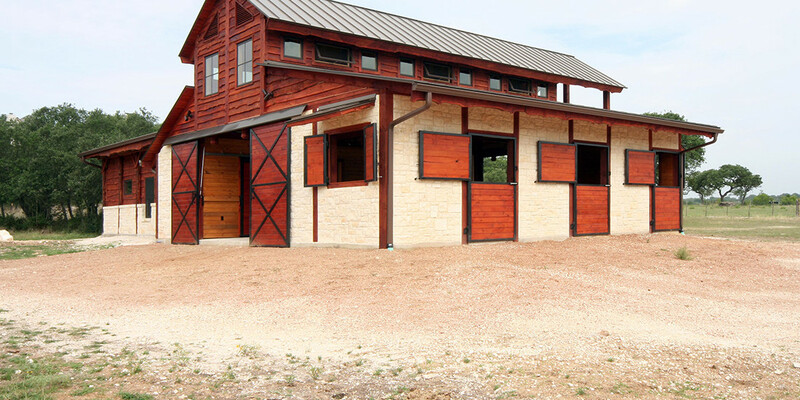 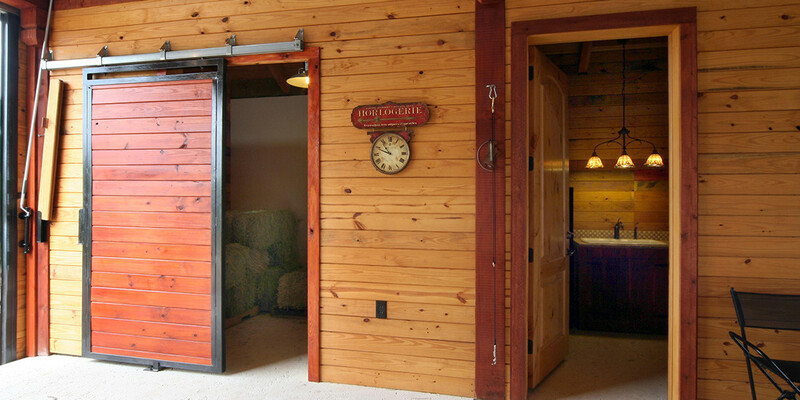 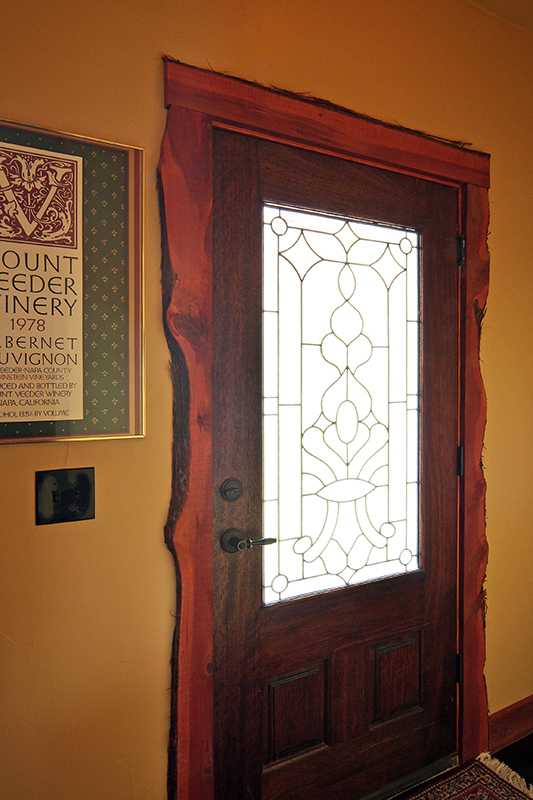 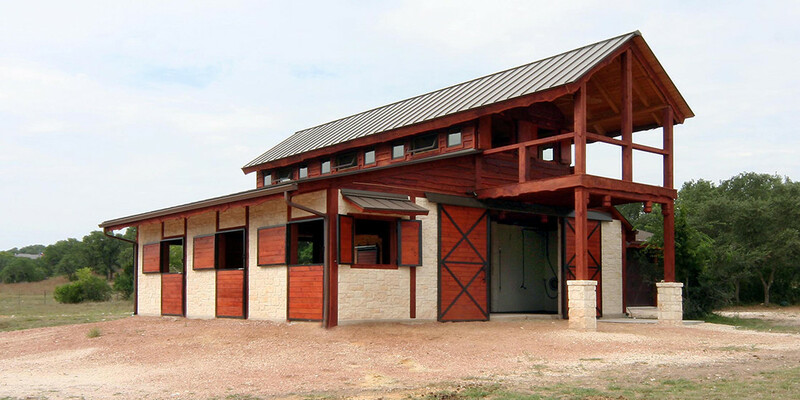 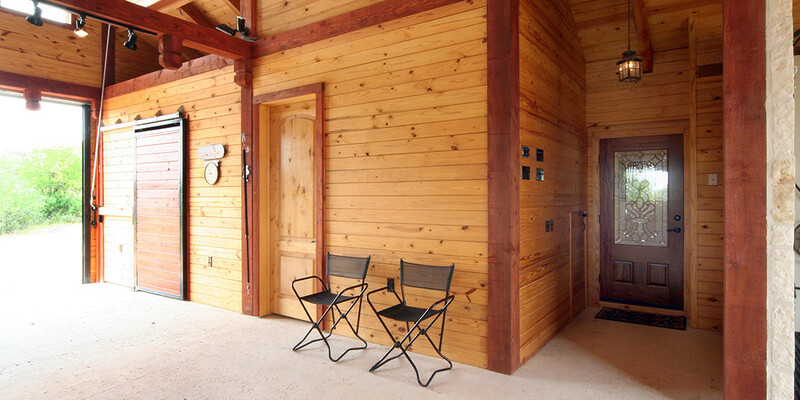 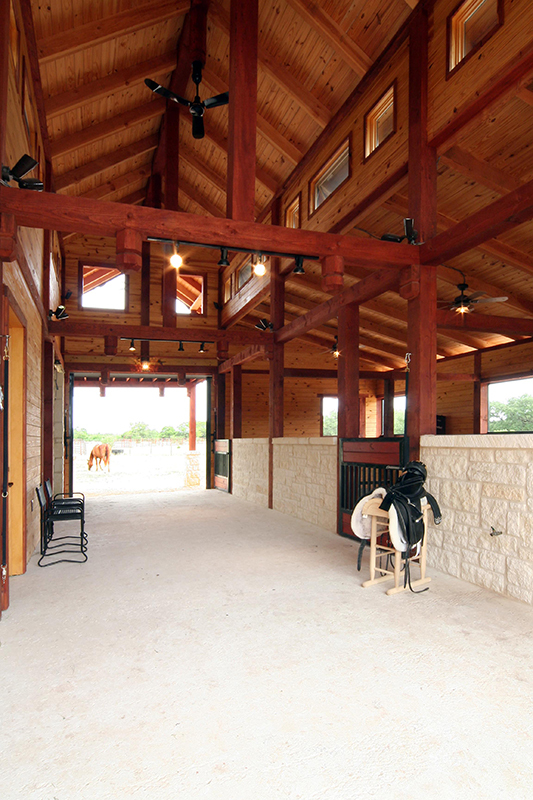 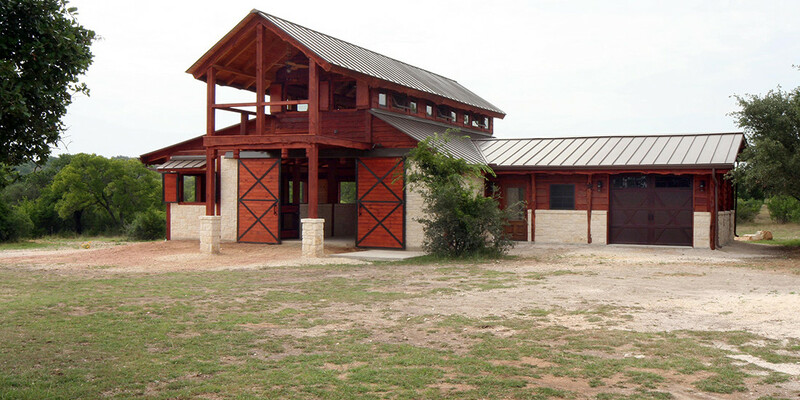 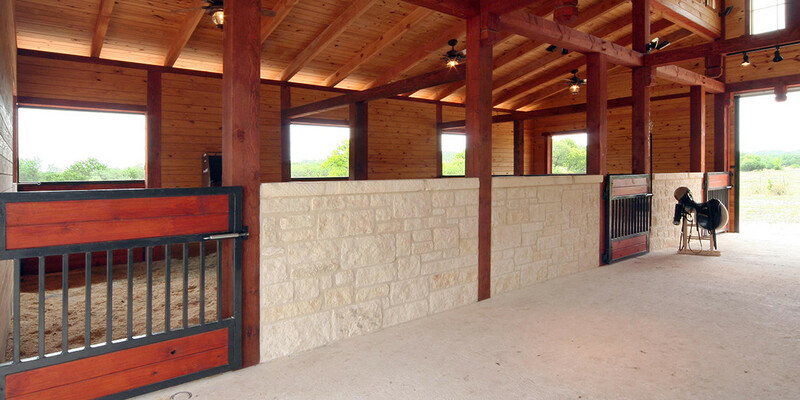 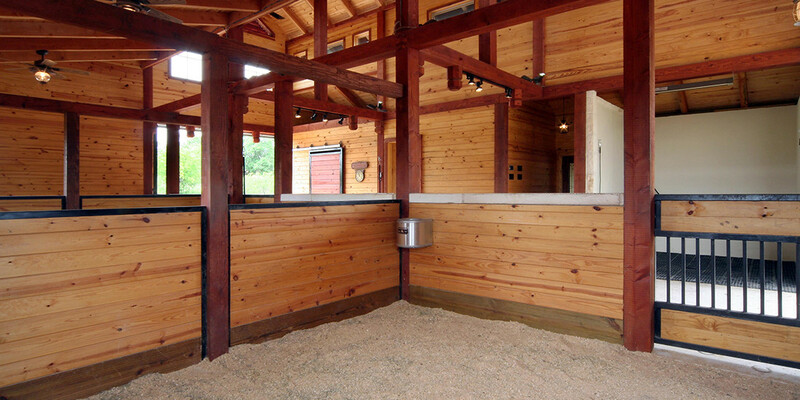 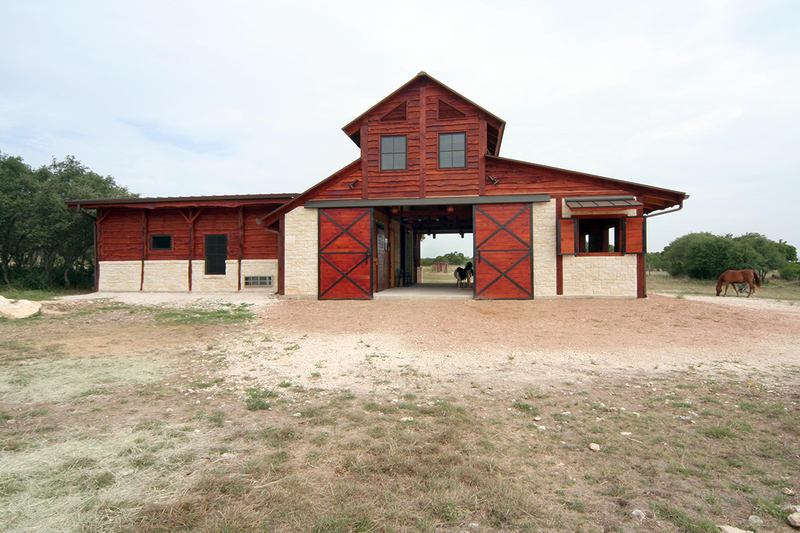 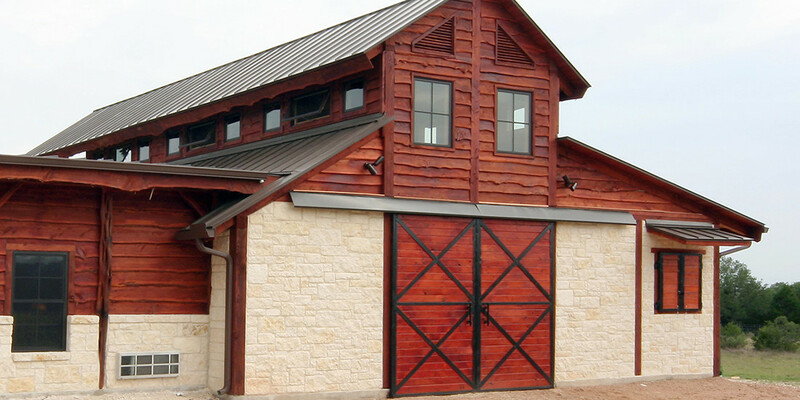 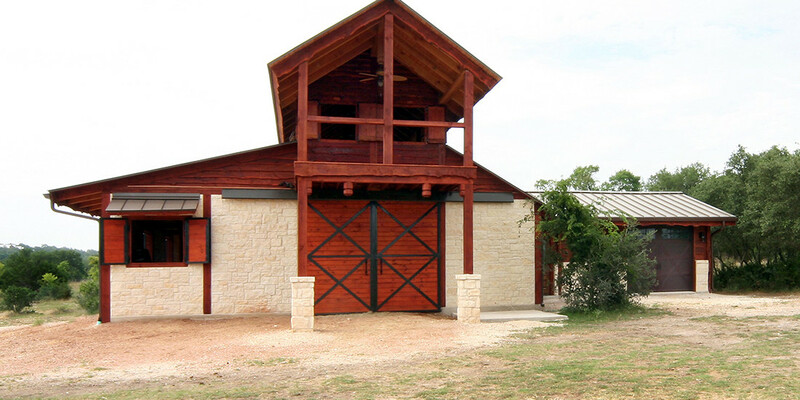 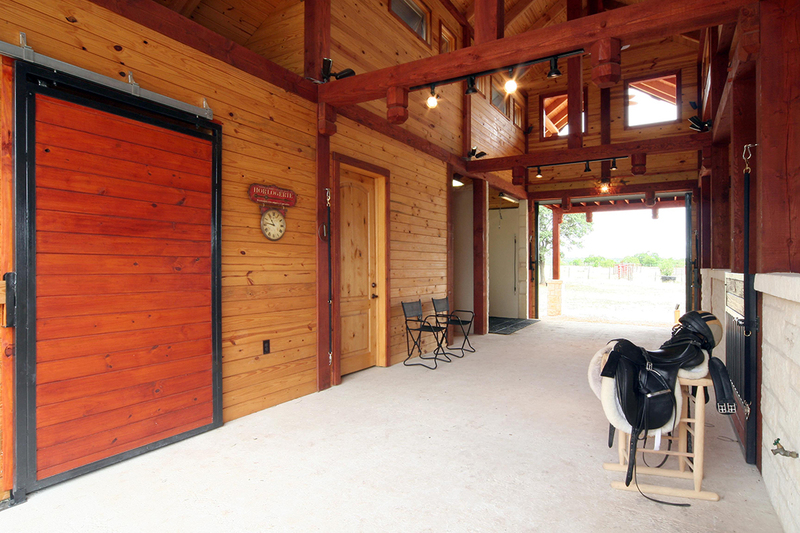 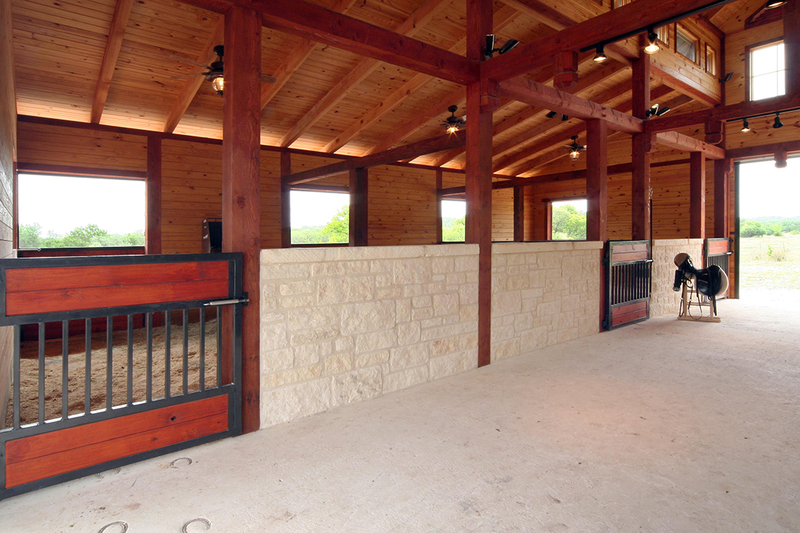 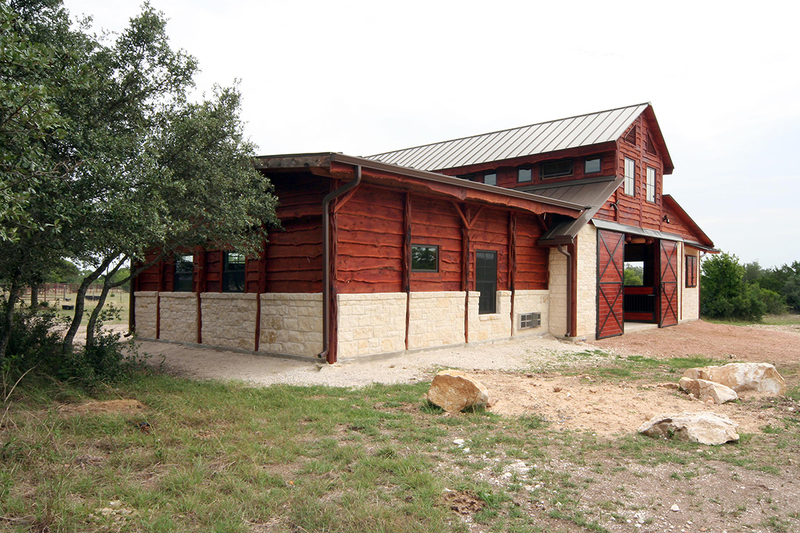 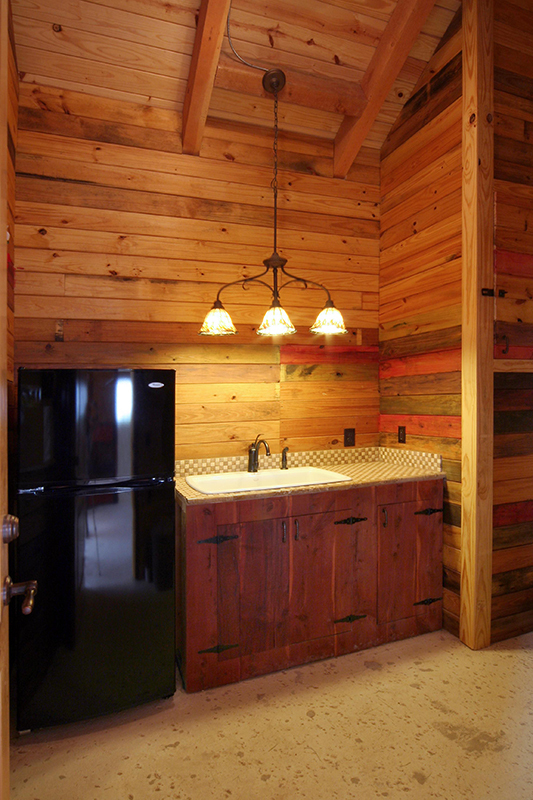 This barn was created for people who love horses and horses who love comfort. 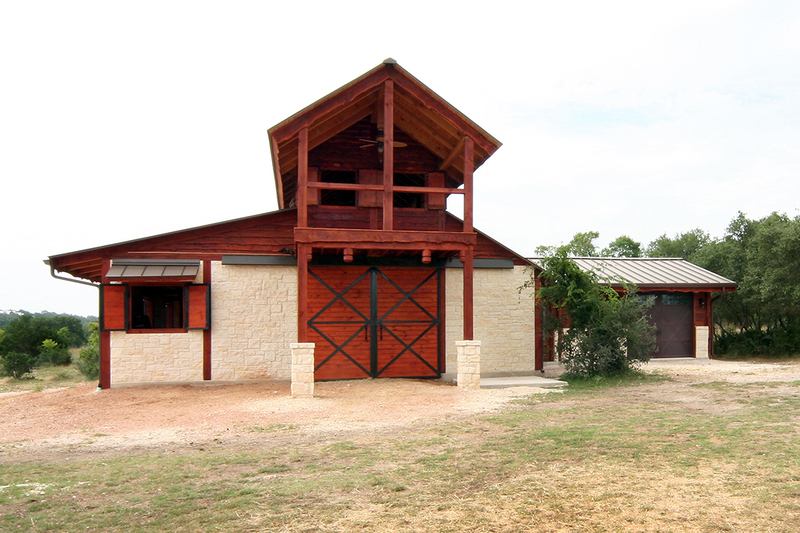 Intentionally articulated to catch the prevailing Hill Country breezes, those who have the opportunity to see it and step inside say they experience a warm alluring energy which produces a serene tranquility affecting both mind and body… hence it’s various nicknames: “The Church” and “The Taj Ma Barn” and “The Equine-Ox”. 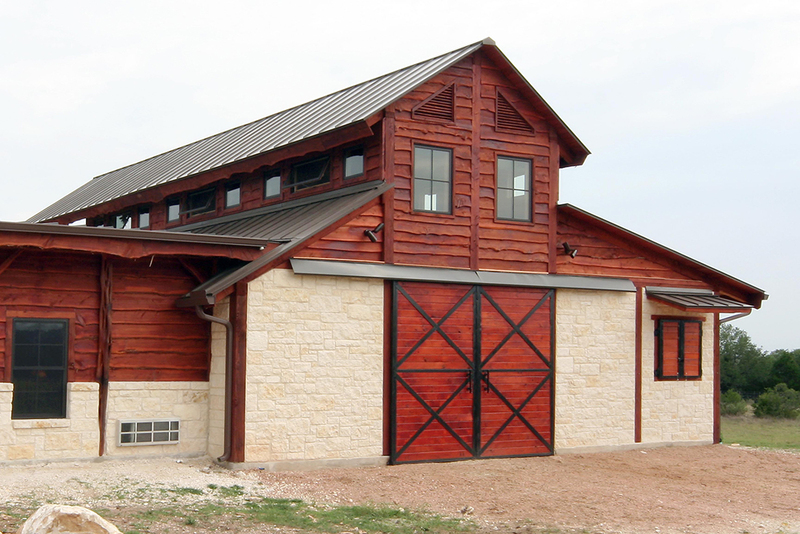 Built in 2 phases the barn existed for 2 years as cedar posts holding up a metal roof. 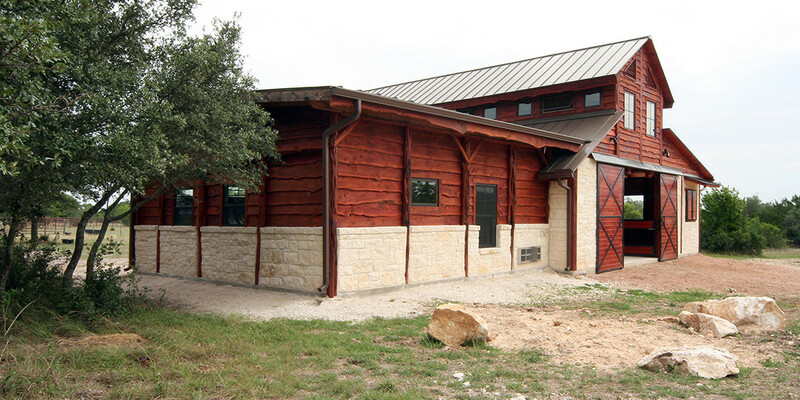 In phase 2, the building was transformed into an insulated, climate controlled apartment complete with a kitchen, satellite TV, full bath and single car garage. 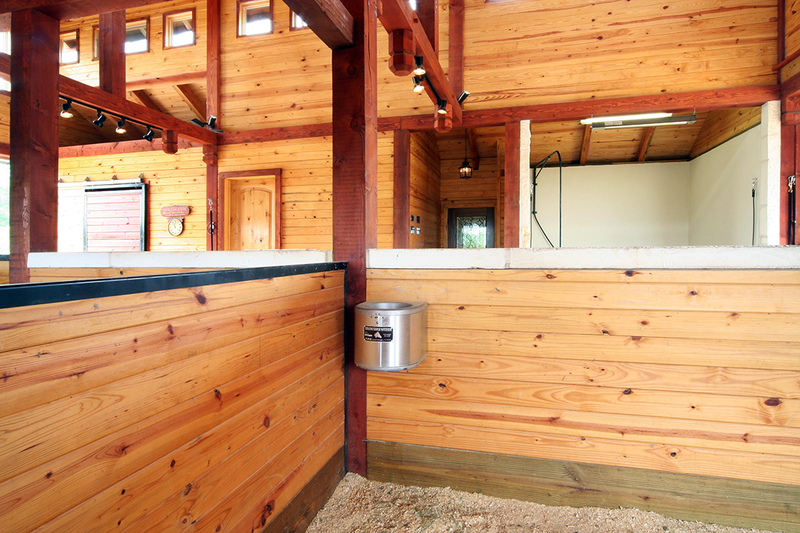 The Main barn exhibits a 24’ high wooden-gabled ceiling with solid Douglas fir timber beams and rafters. 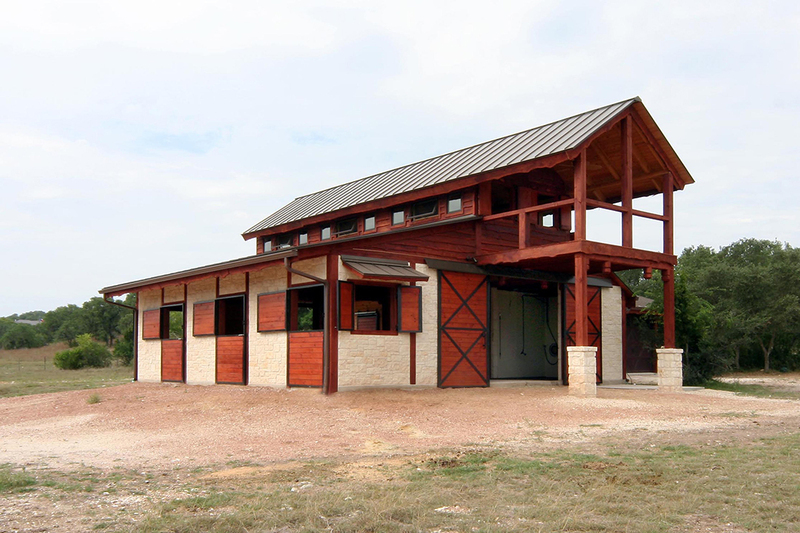 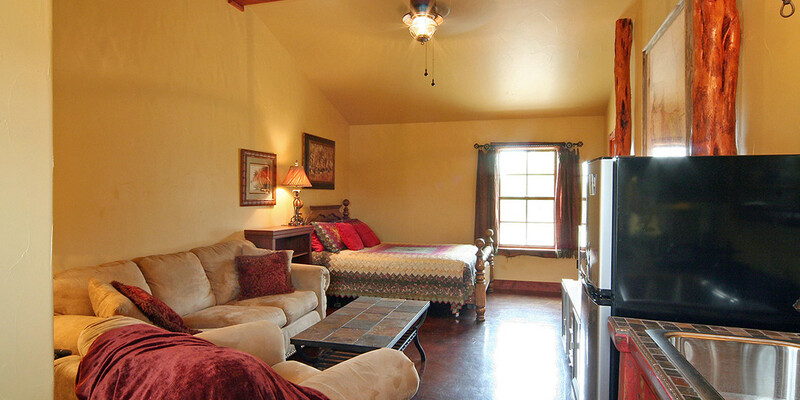 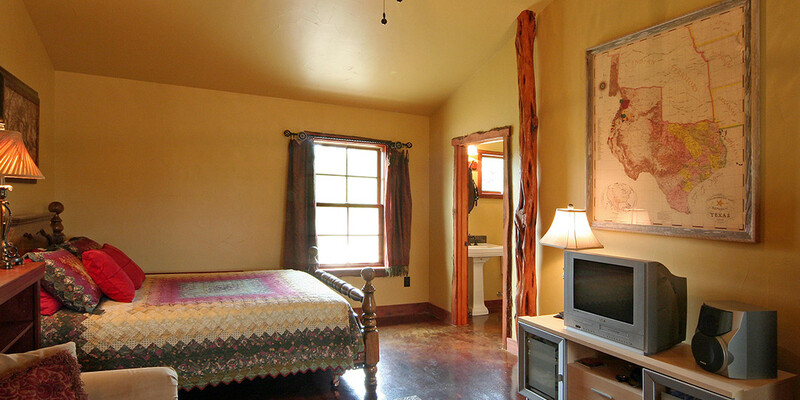 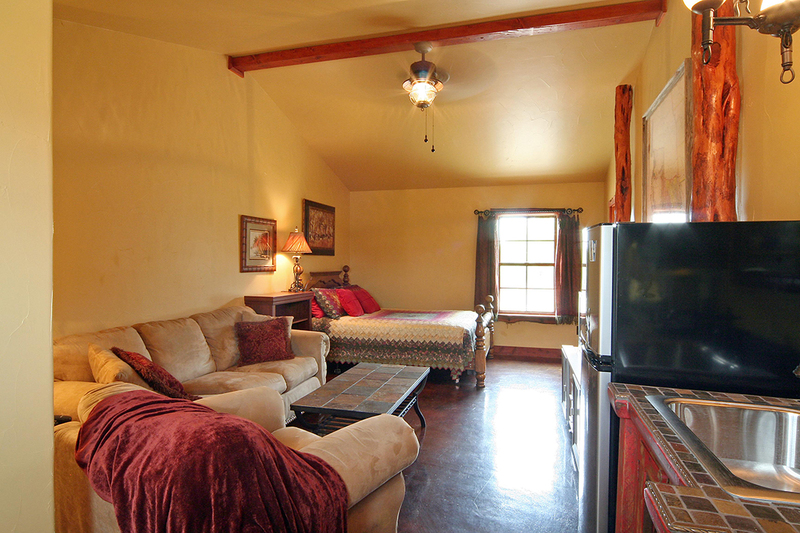 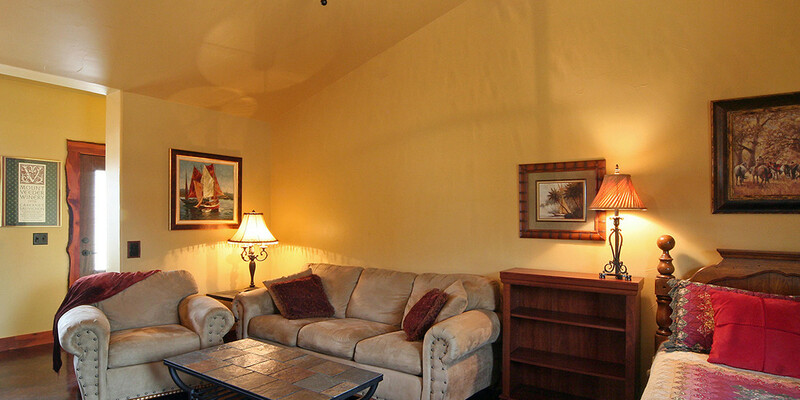 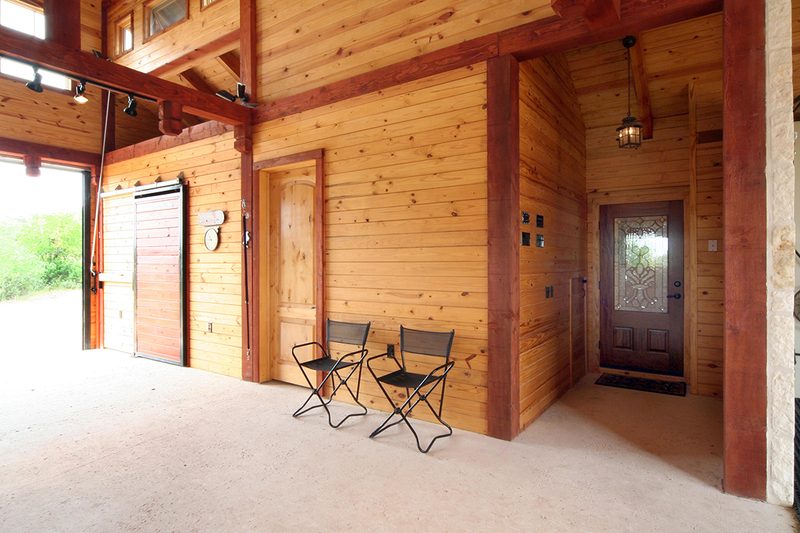 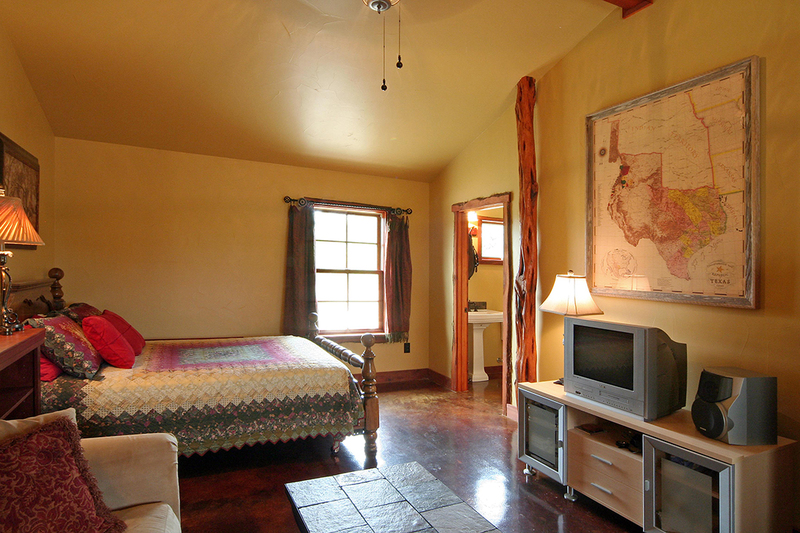 6 functional awning windows, 3 horse stalls, separate feed room, separate tack room with sink & refrigerator. 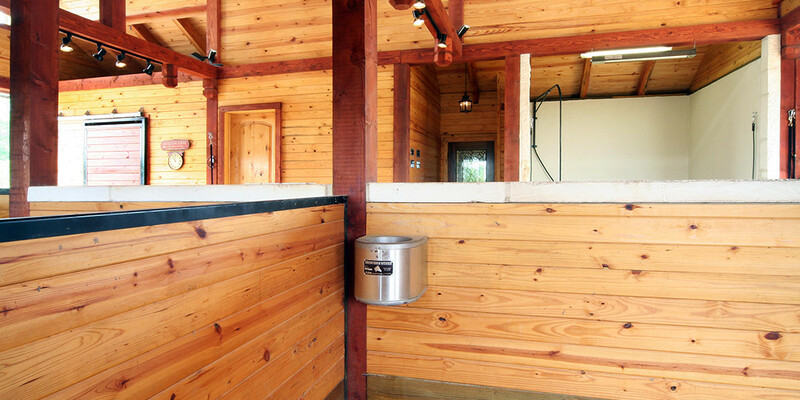 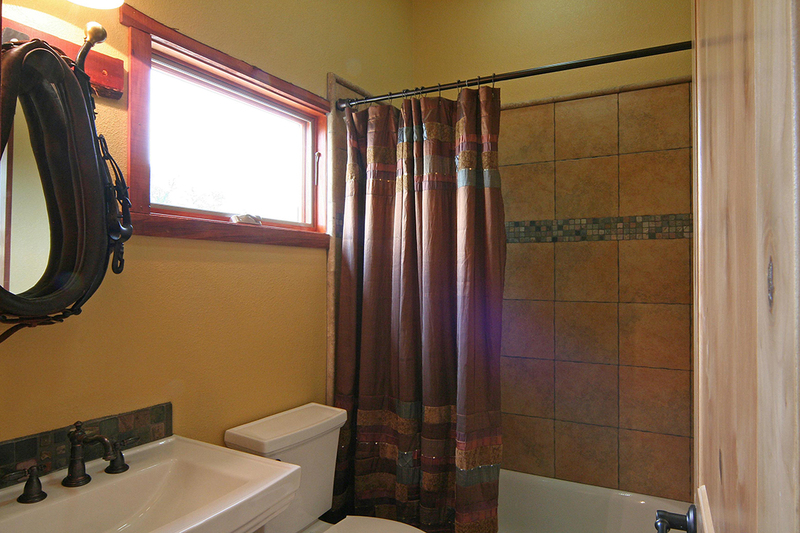 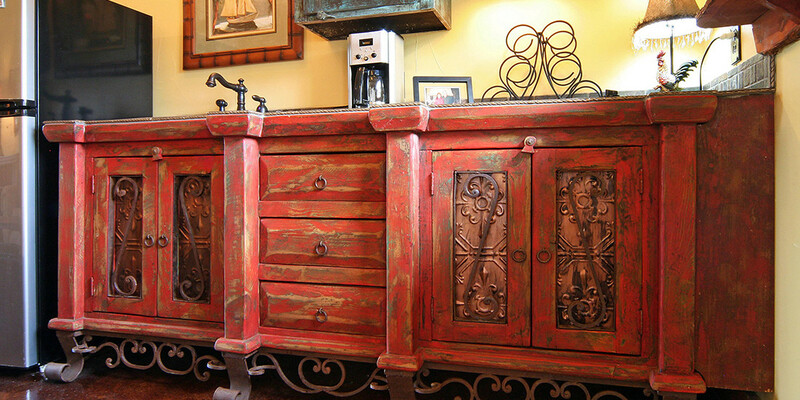 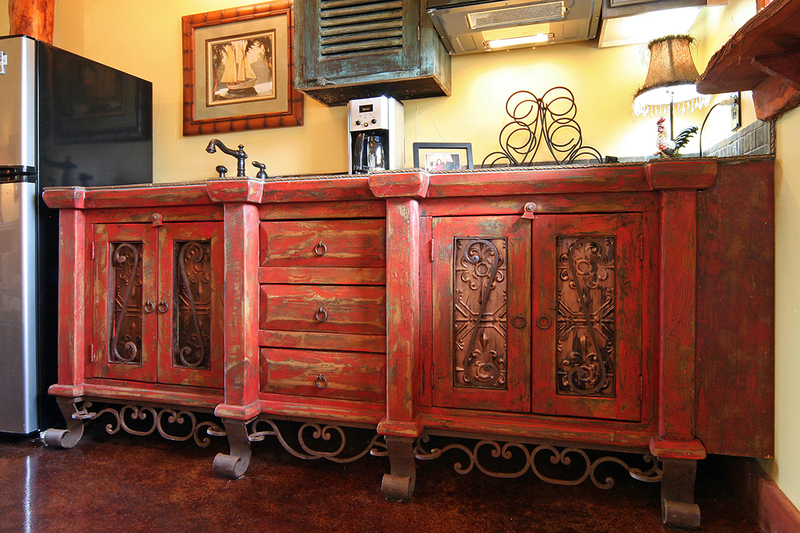 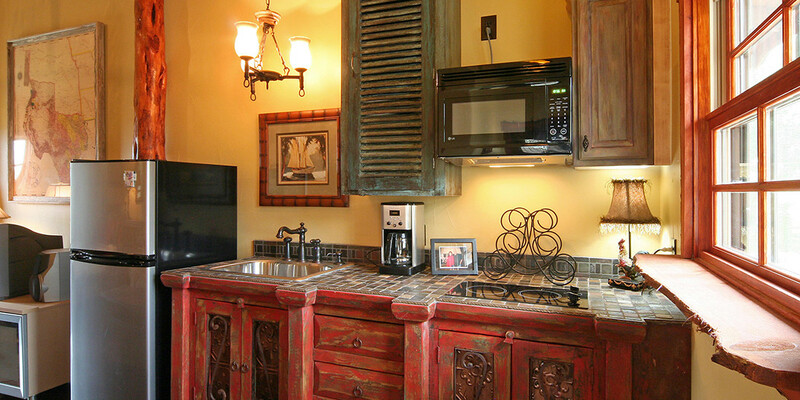 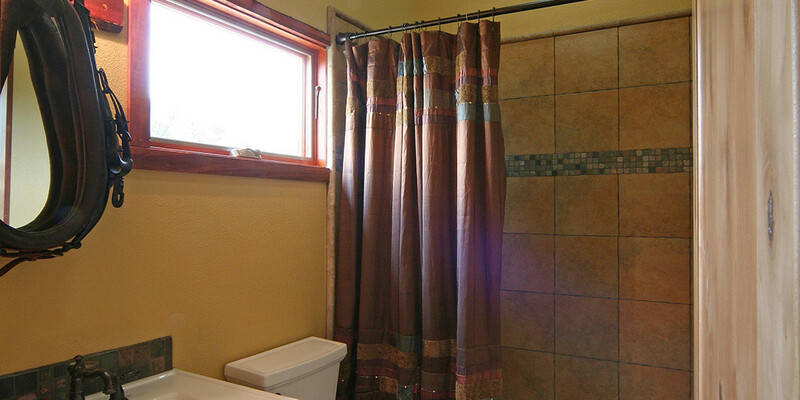 Also features an interior wash rack with hot/cold water and a 2nd story exterior viewing deck.